Popup Maker keeps the development of the service, integrating with more services every day. This time the great news is for the Drupal users. Popup Maker Drupal module will help you to create and display your popups on a Drupal website easier, without any embed codes. Popup Maker Drupal module is super easy to install and set up. It will take a few minutes from you to start using the popups from your Popup Maker account in your Drupal website. How to connect the module to the service and where to get the API key from? Go to the Settings section of your Popup Maker service account to get your API key. After you have copied the API key, go to the Popup Maker plugin in your Drupal menu and enter the API key to connect. After connecting you can generate all your popups into your Drupal website and choose the pages where you want to show your popups. Now it’s so easy to set up and display your popups on your Drupal website. Just a few clicks and your popups from Popup Maker account will be imported into your Drupal website. No more need to copy and paste the embed codes of each popup. Simply create and generate them with one click! 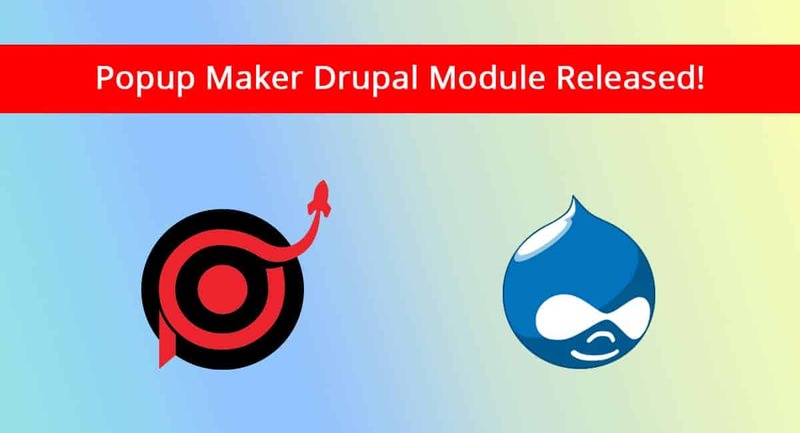 Here’s a detailed instructional article for the usage of Popup Maker Drupal Module. Previous Post:How to create a popup with Popup Maker that will boost your sales? Next Post:Popup Maker OpenCart Extension Ready!